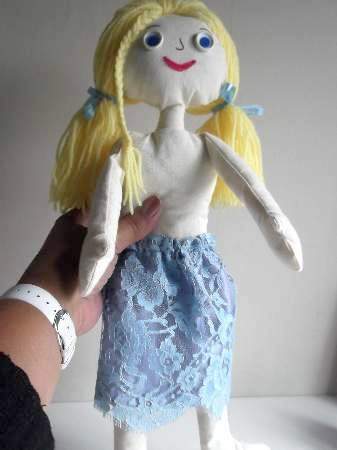 Anyone can learn how to make doll clothes. When starting out, it is best to think of simple costumes that do not need zips, buttons, and other fastenings. 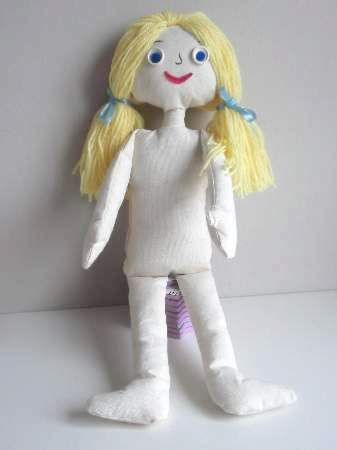 But if you want to put your hand to something more tricky I have included a pair of shoes that have Velcro fastenings for Eleanor, our model rag doll. As you can see, she has a large head with lots of hair and a thin neck, so if the clothes are going to be without fastenings, they need to be roomy so you can put them on easily. An elasticated skirt and a tunic top are very easy to make and don`t need fastenings. 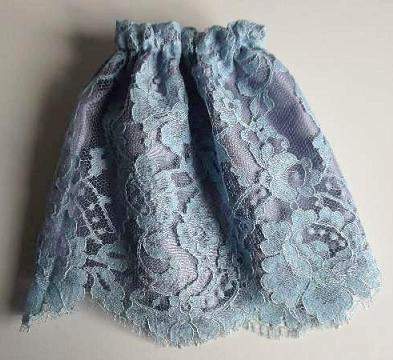 These are ideal for our first doll outfit. Enlarge the picture gallery by clicking over each photo. Gather the materials you need and our free doll clothes pattern if you need it. Try the skirt first. If you have not downloaded the pattern to make a doll like Eleanor, just click on the link to find it. This is what we are using for measuring the outfit. 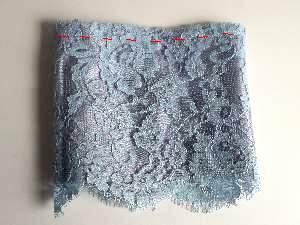 Cut a width of fabric and lining to fit around her waist, adding an extra half width. This is about enough for a nice gather. The length is up to you but cut enough to make the hem and turn in at the waist. 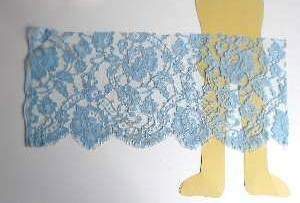 I used lace with a finished edge but the lining has no finished edge so I cut it longer. 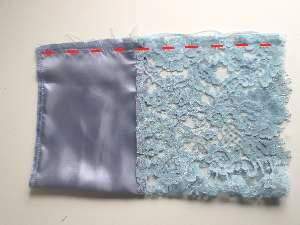 Place the right side of the fabric down onto the lining and stitch along the top. 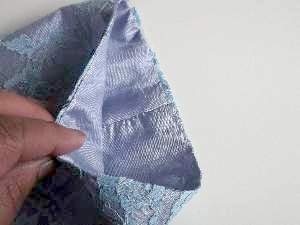 Press the seam toward the lining and turn over the skirt. Fold side to side, then pin and stitch. 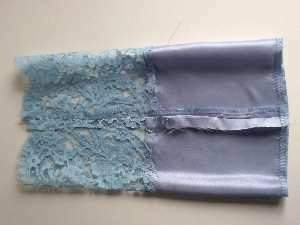 Press open the seam allowance so that it is flat. At this stage you have a tube. Now fold the fabric down over the lining to form a skirt. 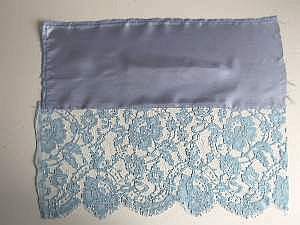 Stitch a hem on the lining and on the fabric if you don`t have a finished edge like mine. Make sure the lining is shorter. 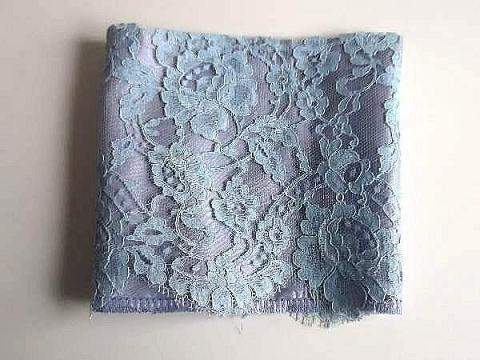 Use a sewing matching to do this if you have one. 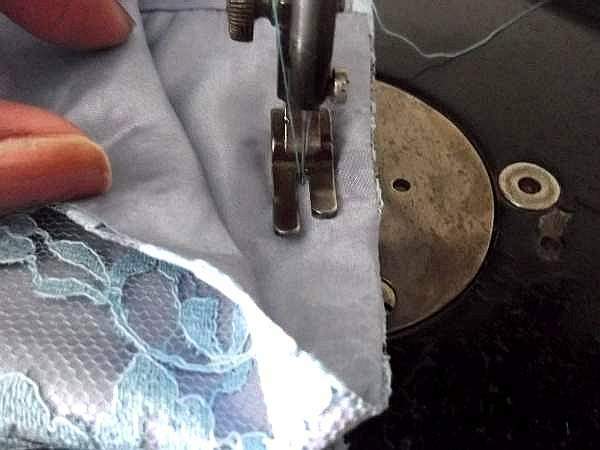 Sewing hems and seams give you lots of practice so you can advance to a higher level of dressmaking. 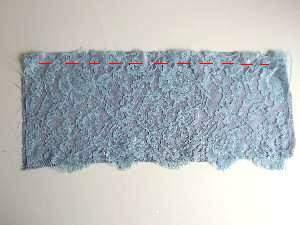 For the elasticated waist, you will need to make a channel to hold the elastic. 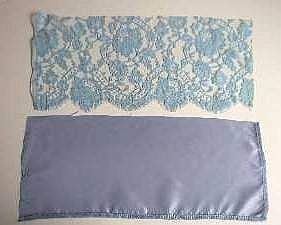 To do this, make a row of stitching to go around the top about 1/2 inch away from the edge, but leave a gap so you can thread the elastic. 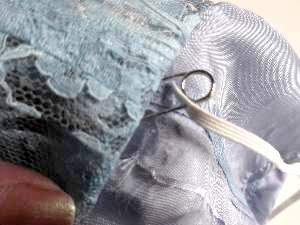 Pin the end of the elastic to a safety pin and push it through the channel until it comes through the other end. Hold on to the other end though to stop it from disappearing into the channel. Take off the safety pin and tie the two ends together in a knot. 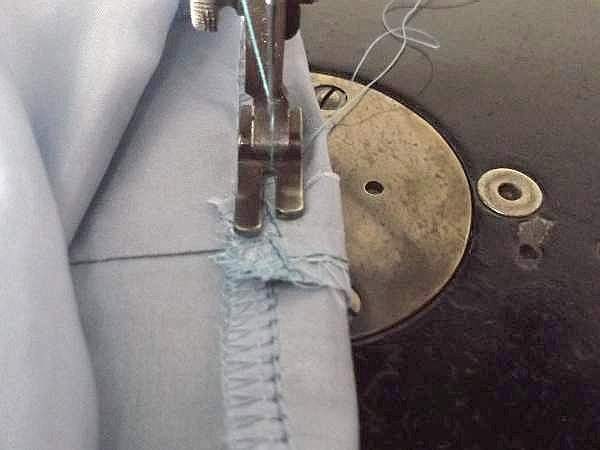 You can then stitch up the gap either with the machine or by hand. That is all there is to it. Simple! Now try it on your doll. See how to make doll clothes that can be pulled over the head. We made our rag doll a tunic without fastenings. 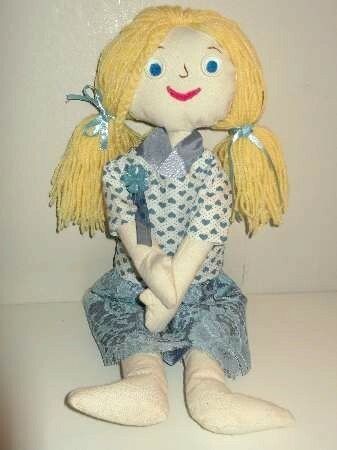 ---and don`t forget to make her bloomers and a pair of homemade dolly shoes!